Before color photography came into use many companies used paintings or heavily retouched photos in their ads. Deere and Company was no exception utilizing the talents of in-house artists and sometimes nationally known painters like Walter Haskell Hinton to give their ads more eye appeal and to help them stand out. Here we have put together some of the best of these paintings featuring comfortable themes like children, dogs, and a warm supper to assure the potential buyer that all is well when you own John Deere equipment. We hope you enjoy these images, John Deere himself might even make an appearance! 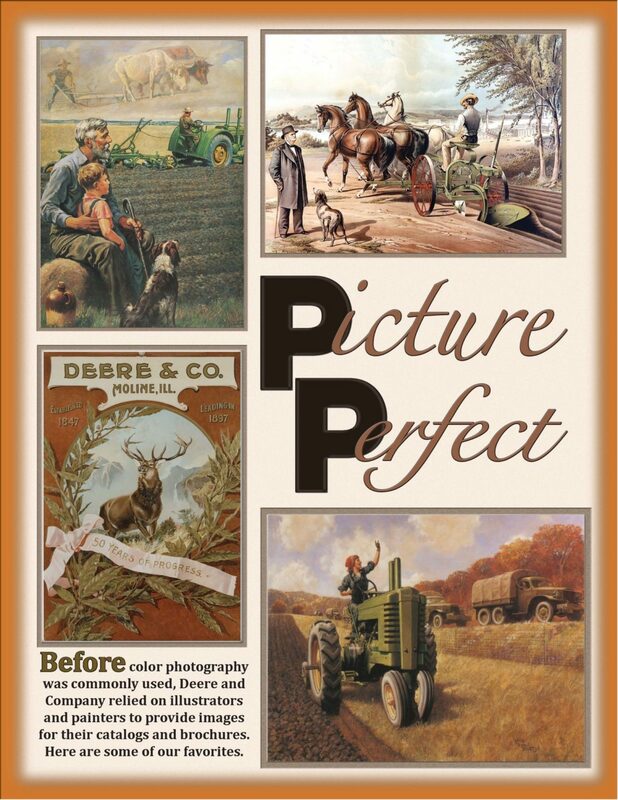 Enter your name and email and we'll send the "John Deere Picture Perfect" special issue right to your inbox.